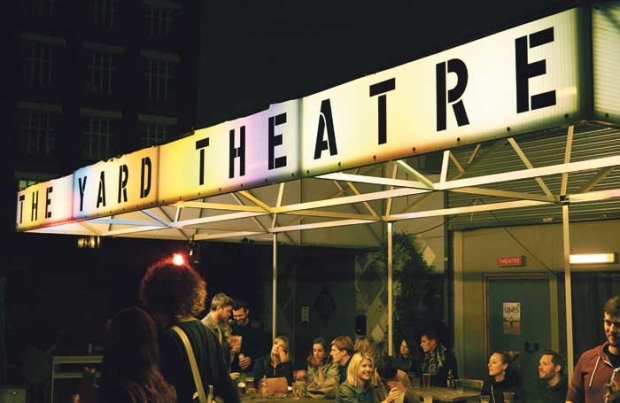 The Yard Theatre has announced its plans for 2018, with two show premieres and work by award-winning companies. RashDash, who most recently toured their Two Man Show, will transfer their take on Chekhov in a new adaptation of Three Sisters to The Yard, after it opens at Manchester’s Royal Exchange. The premise for the show is the fact that, despite the original text being named after the sisters, it’s the men who get the vast majority of the lines. Three Sisters runs from 22 May to 9 June. Award-winning director Ned Bennett (Pomona, An Octoroon) will direct Josh Azouz’s new play Buggy Baby from 7 to 31 March. The show is a horror comedy, with its characters trying to find normality in a surreal domestic life. Company Three, who won the Dan Crawford Innovation Award at the Empty Space Peter Brook Awards earlier this year, will present The Act, devised and performed by a cast of teenagers. The company will tour the show to further venues across the summer, and follows on from the success of their plays Brainstorm and The Future. The Act runs at the venue from 10 to 14 April. Joe Harbot will premiere new show A New and Better You, directed by Cheryl Gallacher between 26 June and 14 July. The piece explores and dissects the modern phenomenon of self-improvement. From 25 April to 4 May, The Yard will bring back their newly christened Live Drafts programme (previously known as First Drafts), which will see 20 artists present experimental new work in developmental stages. The Yard also won an Empty Space Award earlier this year, and most recently re-staged its production of This Beautiful Future, which first debuted in May.